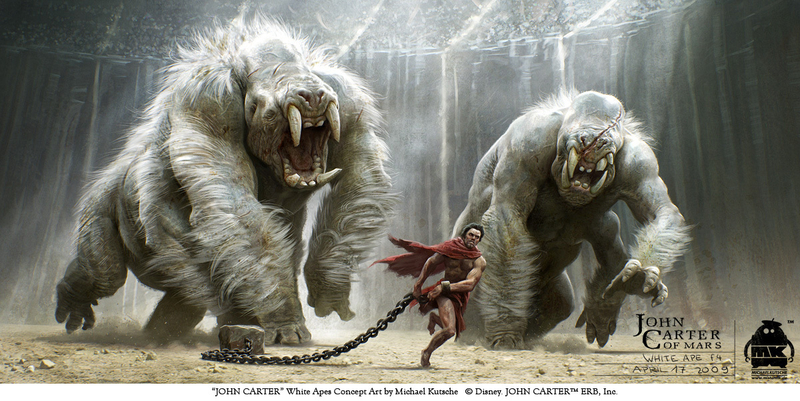 Original White Apes concept art for John Carter, directed by Andrew Stanton. This image served as both character design and key frame for the film, and an earlier version has been used in the marketing campaign on billboards and posters as well. I've always wanted to design something like this for a movie, and I'm glad it happened on this one! Working with Andrew was an amazing experience.